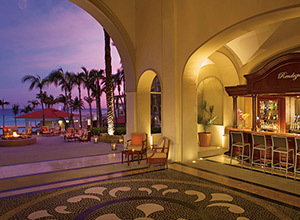 Located on the sparkling Sea of Cortez, Dreams Los Cabos is one of the crown jewels of the Baja Peninsula. Dreams Los Cabos embraces the elegance of the traditional Colonial Mexican design and truly reflects the beauty and splendor of Los Cabos. This open-air, all-suite resort features a large, freeform swimming pool, health club and spa, panoramic view of the ocean.